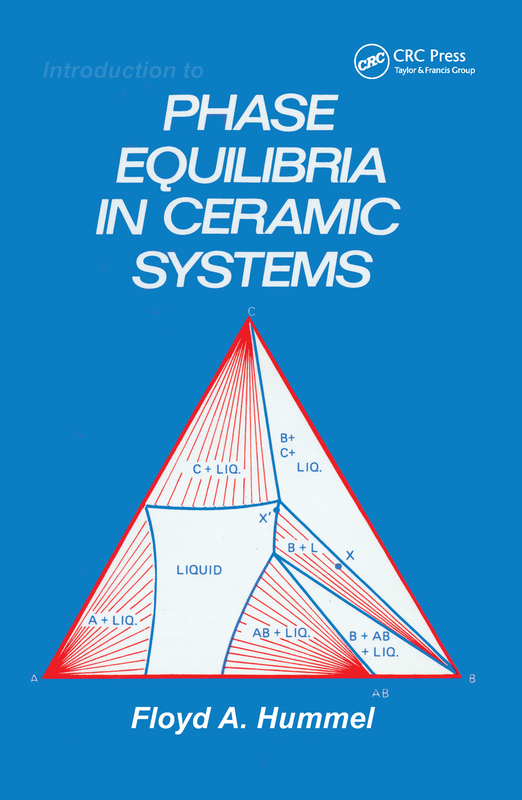 Written by a leading practitioner and teacher in the field of ceramic science and engineering,this outstanding text provides advanced undergraduate- and graduate-level studentswith a comprehensive, up-to-date Introduction to Phase Equilibria in Ceramic Systems.Building upon a concise definition of the phase rule, the book logically proceeds fromone- and two-component systems through increasingly complex systems, enabling studentsto utilize the phase rule in real applications.Unique because of its emphasis on phase diagrams, timely because of the rising importanceof ceramic applications , practical because of its pedagogical approach , Introductionto Phase Equilibria in Ceramic Systems offers end-of-chapter review problems . .. extensivereading lists . . . a solid thermodynamic foundation . .. and clear perspectives on thespecial properties of ceramics as compared to metals.This authoritative volume fills a broad gap in the literature , helping undergraduate- andgraduate-level students of ceramic engineering and materials science to approach this demandingsubject in a rational , confident fashion . In addition,Introduction to Phase Equilibriain Ceramic Systems serves as a valuable supplement to undergraduate-level metallurgyprograms.